This is a "Wish I had done it when the bench was new" post. 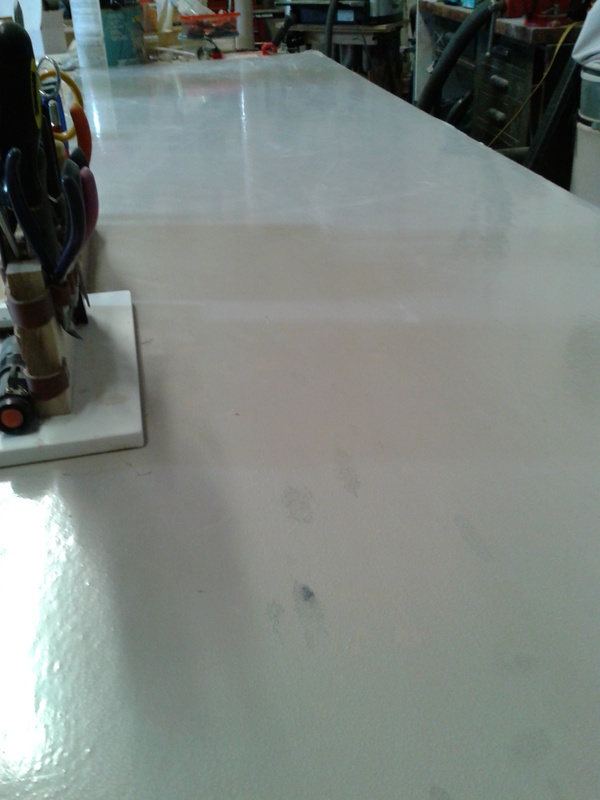 Covering the bench top with Carpet Shield will make working so much easier. 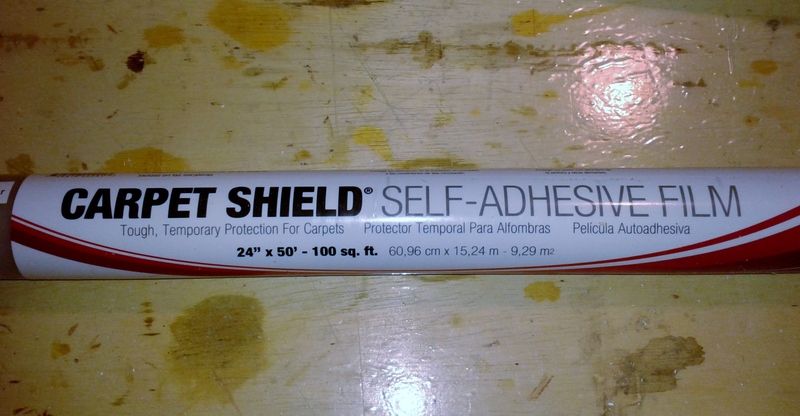 It's cheap and has lots of advantages and when totally worn out, just peel it off and replace it. Painted the old board and covered it. Glue doesn't stick.... Great for CAing sheeting together. Everything wipes off with ease. 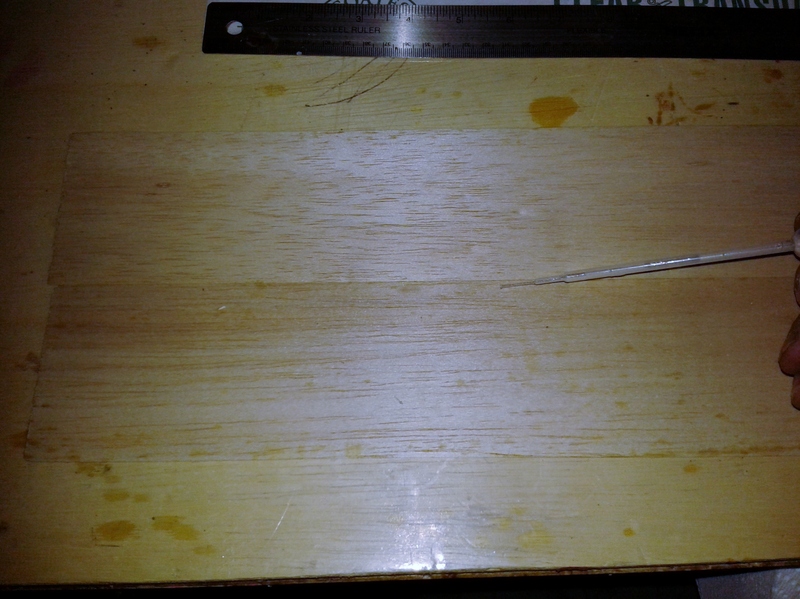 Dried yellow glue or epoxy just flicks off. 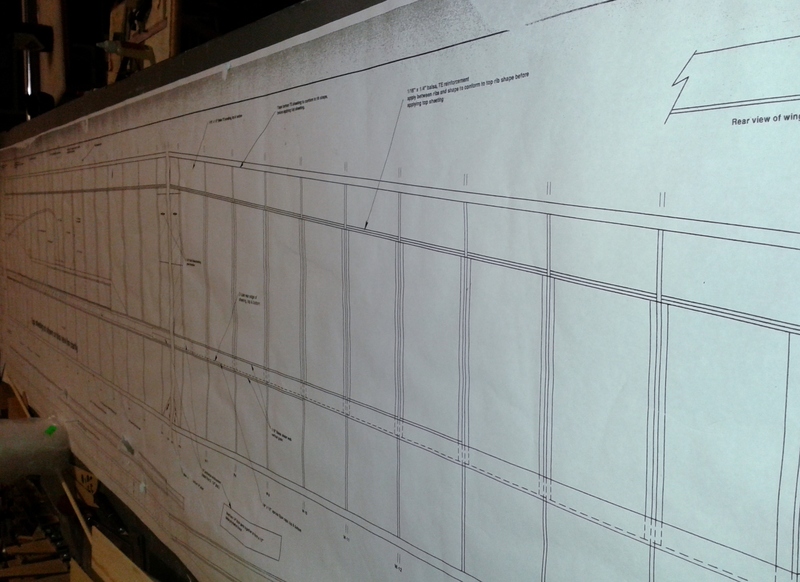 Good for permanent covering of plans. 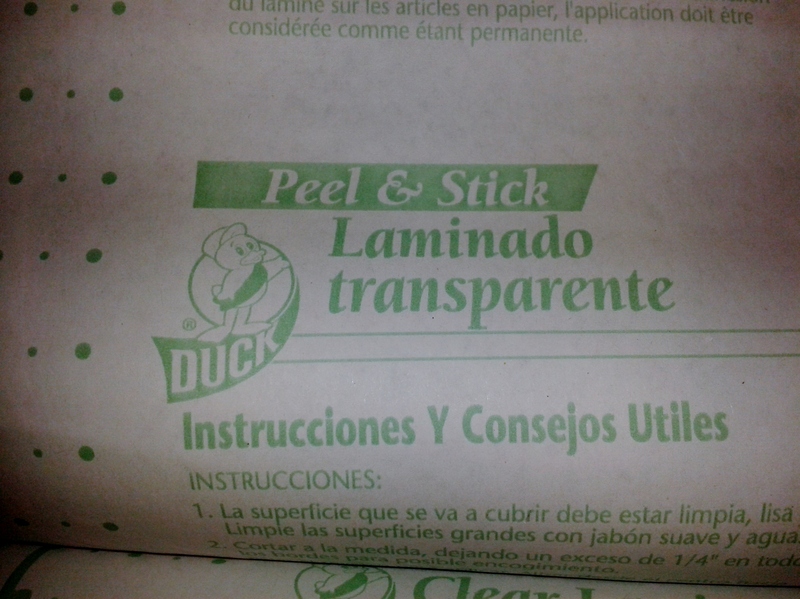 You can also use Duck Peel and Stick. For removeable plan covering I use Coates and Colours. 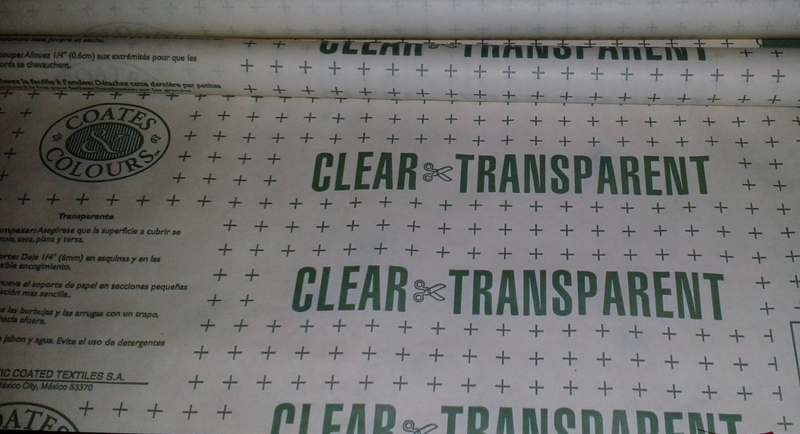 There are also other clear shelf coverings with non-permanent adhesives. It peels right off the plans. CA does stick a bit, so sometimes I put it down first and then some Carpet Shield. 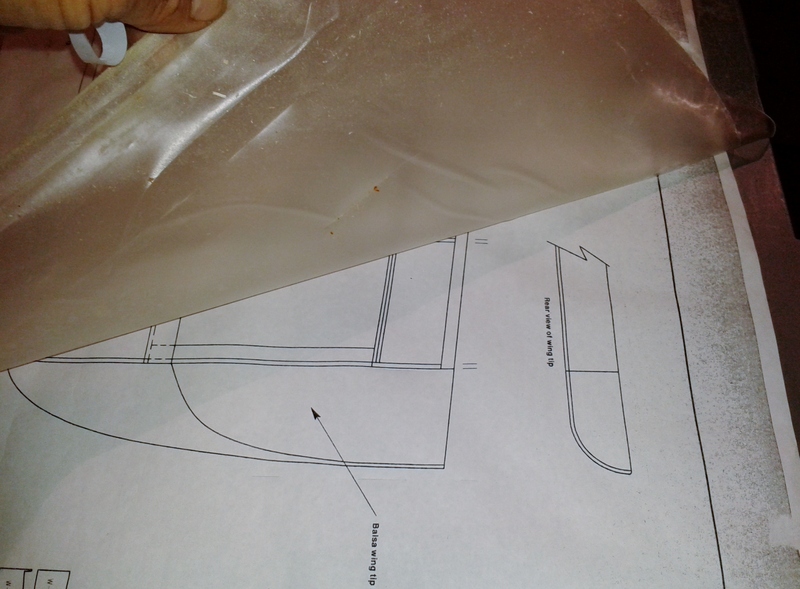 Another great thing with Carpet Shield is that you can cut your covering right on it and it is thick enough that it doesn't shred apart and the bench itself doesn't get cut up. (if you don't press too hard). 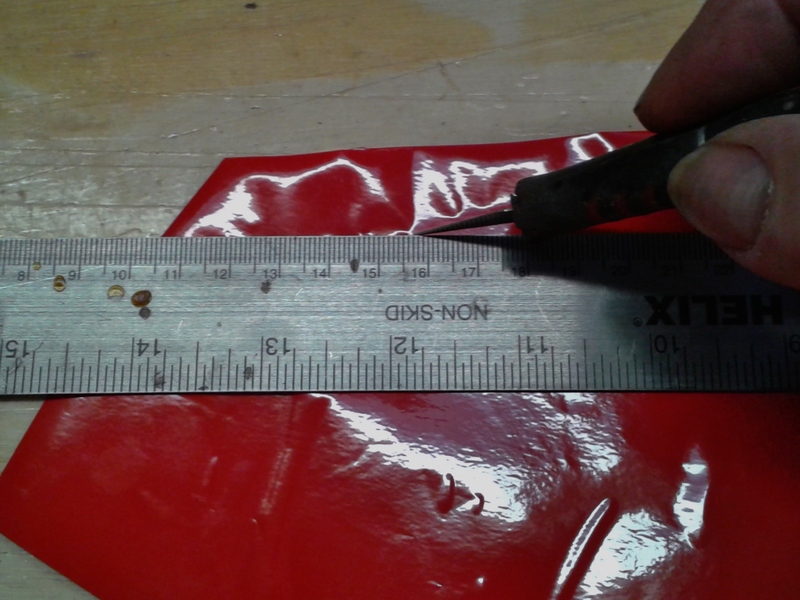 If you cross cut too much, it might take a bit more time to remove and replace the covering, since there might be some small cutouts to peel off. 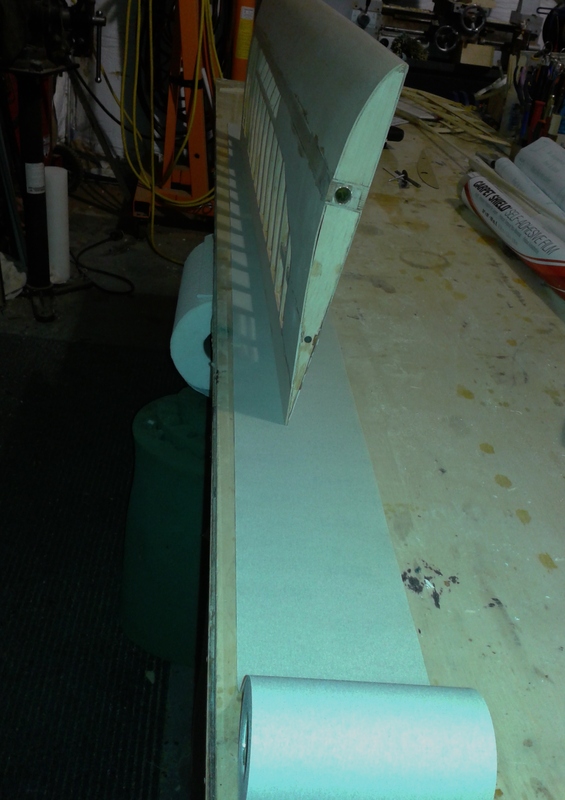 I also use adhesive backed sandpaper on it to make a long sanding bar. Rolls right up when done and can be used over and over.